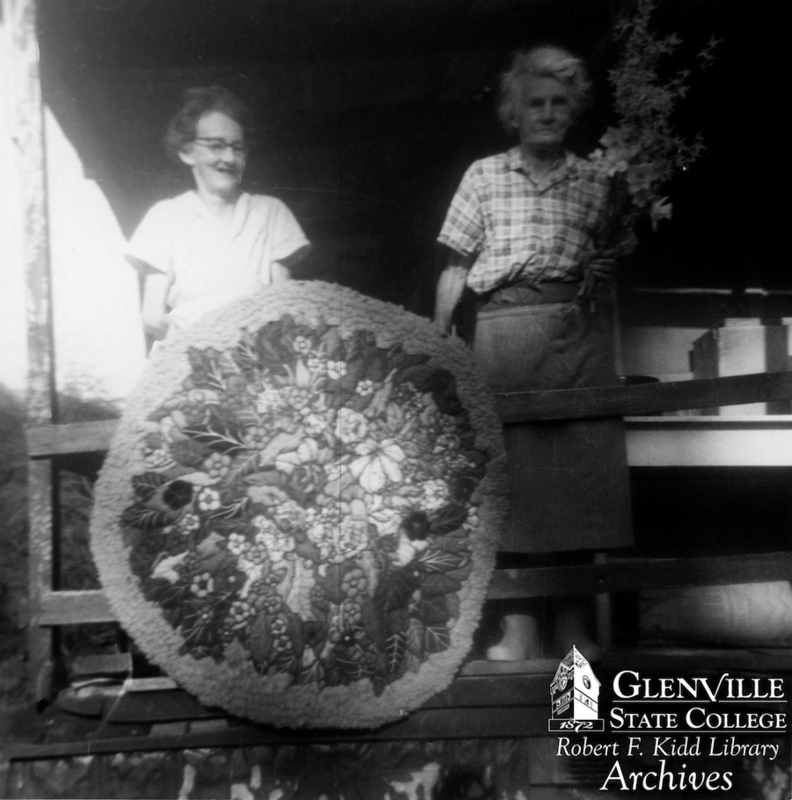 Two ladies who worked with scraps of clothing, upholstery and drapery fabrics embroidering, and stitching them into rugs, wall-hangings, and footstools sold the items during a local annual arts/crafts festival. In the mid 1960’s their work was selected to be promoted to galleries in Charleston and out-of-state, shown at the Smithsonian, won awards and eventually some were represented in an exhibit at the Pasadena Art Museum, California in 1972. Otha Lee was born to John and Minnie E (Furr) McDonald on September 2, 1892 in Gilmer County. She died in Weston Hospital December 23, 1975. Blanche was the third sister born on September 7, 1895 living with her older sister in the maternal family home three miles from Letter Gap, Gilmer County, WV all their adult life. The year after Otha’s death Blanche lived in the Worthington Manor Care Center, Parkersburg where she died on December 29, 1976. Susan, the third sister, moved upon marrying to Akron, OH. Her two sons inherited the family property which was sold to John Furr, an uncle. Eventually he sold to Dean Furr who, after renting it for awhile, sold the property out of the family. The sisters are buried in Meadow Lane Cemetery, Glenville, WV. 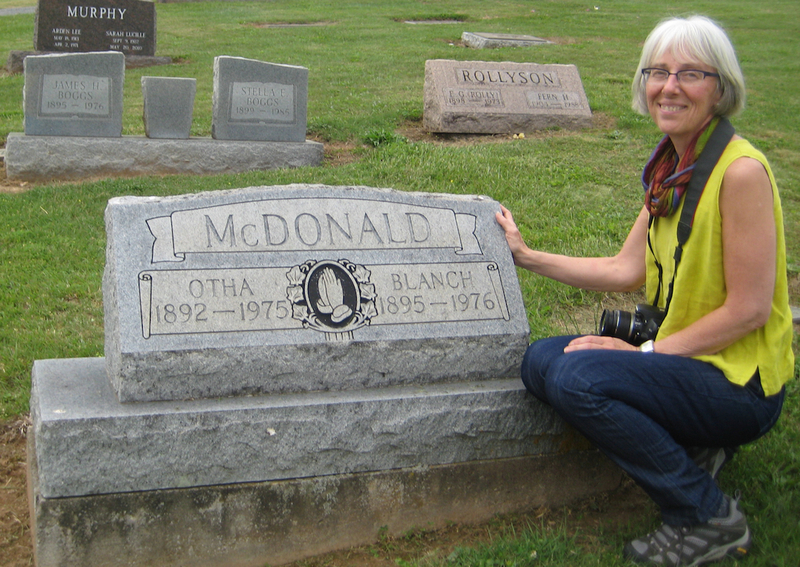 The headstone was engraved omitting the ‘e’ on Blanche’s name. This may have been a common way to also spell the name or an omission. Glenville State College Library Researcher Ginny Yeager helped in compiling the family details including taking Susan to the gravesite and photographing the family home. Jason Gum, the library archivist continues to gather material including black and white photos, articles in newspaper and festival programs and inquiring through the Gilmer County Historical Society for collectors and personal stories. Much of the paperwork was located in the donated files from the Arts and Crafts Festival founder Fern Rollyson who coincidentally is buried in the row behind the sisters. 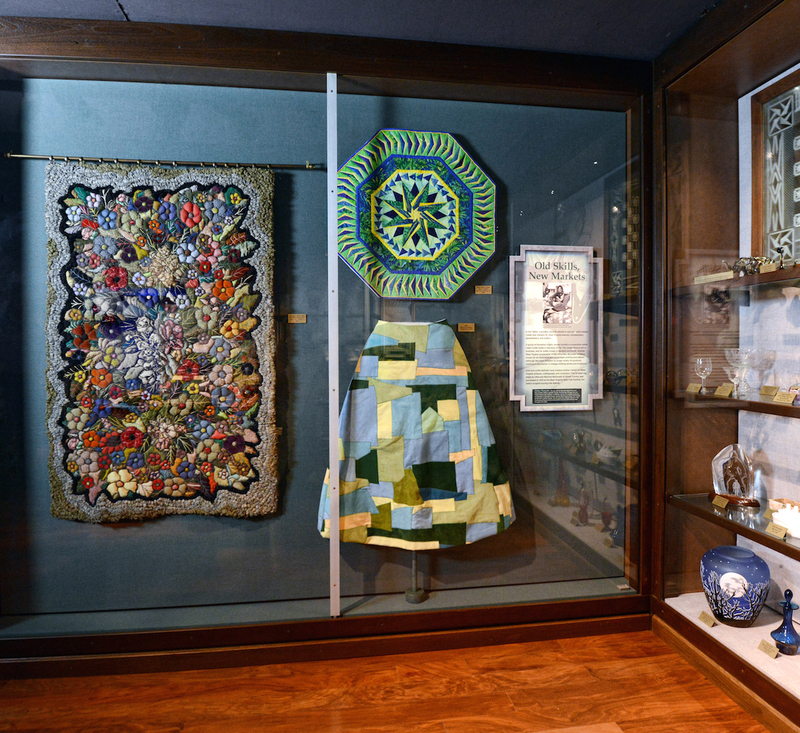 Their work is included in the State Museum, Charleston, WV, one on display in room #25 Legacy of Craftsmanship and another in the archives. The first was purchased in 1970 while the archived piece came to the collection from WV Div of Arts and Humanities purchase award of $100 at the first Appalachian Corridors Exhibition held in 1968 in Charleston. The displayed piece pique’d my interest and research in 2011. According to articles and images these two were prolific. Creating many pieces and selling them all either directly or with marketing assistance instigated by the WV Department of Commerce, Florette Angel, crafts representative. This department was created under the 1964 Economic Opportunity Act, implemented by President Lyndon Johnson in all of the states. The director of the department was Donald Page who according to his wife enjoyed the ladies, and collected their “largest” piece. Records indicate their work was displayed at the Smithsonian in Washington, DC. Whether this was during a week long folk life festival one summer in the late 1960’s, or an exhibit I have not determined. They sold regularly at the Arts and Crafts Festival in Glenville; at the Mountain State Arts and Crafts Fair in Ripley; and through the Sunrise Art Gallery in Charleston. Private collectors have contacted me and shared photos and personal stories. One own a pair of 3 x 5 rugs which have been on the floor in loft guest room of their log home since 1965. Another is a fine artist and has included the footstool she owns in an oil painting. 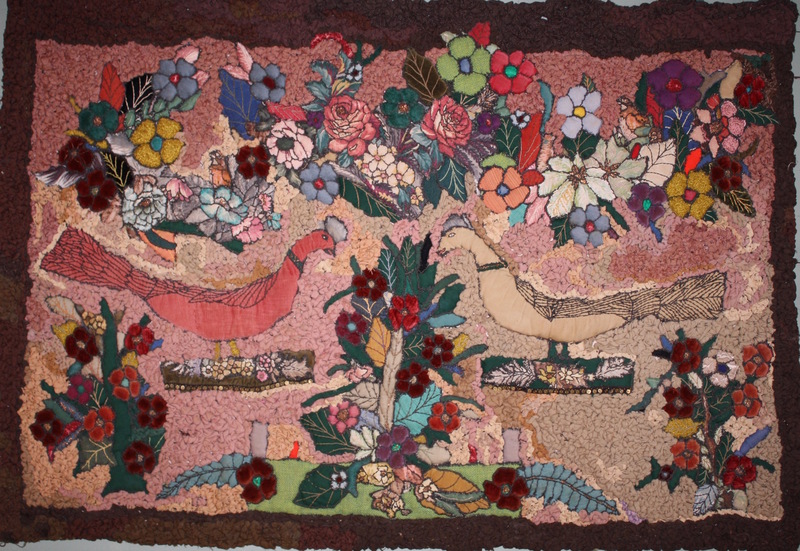 One of the largest pieces created by Otha and Blanche featured below is also a unique example because it includes two peacocks along with sprays of flowers and dusty rose looped background.